No contest clauses, or “in terrorem” clauses (latin for “in terror” or “by way of threat”) are often used in wills to attempt to create a consequence or an ability to prevent a gift, if certain conditions are not met or certain actions are taken. Typically, no contest clauses intend to direct that if a beneficiary challenges a will, the bequest is forfeited and forms part of the residue of the estate. The goal of these clauses is to cause a beneficiary to think twice before commencing litigation that may result in their entire bequest being forfeited. As a matter of public policy in Canada, a no contest clause is not allowed to oust statutory rights and benefits (such as maintenance and support under applicable dependants’ relief legislation) or deprive the court of its jurisdiction to deal with requests for assistance in interpreting the will, which do not dispute the will. Generally, a valid no contest clause must also provide for an express gift over in the event that the beneficiary in question contests the will. After a decline in health over the last months of his life, James Carl Anderson died on September 3, 2015 in Calgary at the age of 84. Mr. Anderson had three adult children. The respondent, Karen Mawhinney, claimed to have been in a relationship with Mr. Anderson for over twenty years and became his fiancée in March 2015. The appellants claimed that she was only a long-term friend. Ms. Mawhinney claimed that Mr. Anderson had made four wills prior to the two in question. Under all of the prior four wills, Ms. Mawhinney shared equally with the three adult children in the residue of the estate. The scheme of distribution was altered in an August 1, 2015 codicil and ultimately in a new will signed by Mr. Anderson on August 6, 2015 (the “August Will”), which altered the prior scheme of distributions (collectively, the “Testamentary Documents”). trigger the application of the no contest clause. The QB Court in Anderson Estate was satisfied that the no contest clause was valid. However, it found, amongst other things, that the ability to make an application pursuant to Surrogate Rule 75 to obtain formal proof is a right conferred by the law of the Province of Alberta and was, therefore, excluded from the application of the no contest clause under exception (b) of the clause. 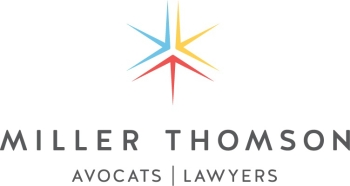 Does an application to request the personal representatives to obtain formal proof of the August Will under Surrogate Rule 75 constitute a challenge to its validity or litigation in connection with it, within the meaning of paragraph 21 of the August Will? Is paragraph 21(b) of the August Will confined to applications for dependants’ relief or is it broad enough to include an application raising suspicious circumstances? The Appeal Court held that while it is established in case law that a testator cannot extinguish rights conferred by statute dealing with maintenance and dependants’ relief applications, the no contest clause is not sufficiently broad to exclude an application under Surrogate Rule 75 from being subject to its terms. The Appeal Court further disagreed with the position of the QB Court that the testator could have explicitly prohibited the use of Surrogate Rule 75, noting that such reasoning contained a “logical inconsistency.” The Appeal Court noted that if it is true that the case law is clear that dependant’s relief legislation cannot be avoided in a testamentary document, and if it is possible for rights under the Surrogate Rules to be avoided in a testamentary document, they cannot then be afforded the same treatment. The Appeal Court also considered the argument raised by Ms. Mawhinney that “if someone is aware of suspicious circumstances in a case of a will with a no contest clause, he or she is essentially precluded from bringing an application to put those suspicious circumstances before the court.” The Appeal Court had two responses to this argument. Second, no contest clauses do not “prohibit an outright challenge to the validity of the will or litigation in connection with any provision of the will.” The Appeal Court noted that if Ms. Mawhinney was successful in challenging the validity of the will, then it would no longer be valid and neither would the no contest clause. However, if the challenge was unsuccessful, it would mean the will would be valid, and that would include the no contest clause. The appeal was granted 2 to 1, with a majority of the Appeal Court finding that an application under Surrogate Rule 75 would trigger the no contest clause. Notably, O’Ferrall J.A. brought up two key points in the dissent to the majority decision. Prior to the holding in Mawhinney, the use of no contest clauses was becoming questionable as the types of litigation the clause could conceivably prevent was greatly diminished by the holding in Anderson Estate. This holding also appears to illustrate a continuation of a growing trend in Alberta where applicants can expect consequences if their challenge to an estate ultimately lacks merit. This has been evident in cost awards in cases such as: Bukkems Estate (Re), 2014 ABQB 678, where a common law spouse was ordered to pay party and party costs to the Estate for an unjustified maintenance and support claim; or Nelson Estate (Re), 2014 ABQB 765, where the Court assessed a cost award approaching solicitor-client costs against an estate for conducting litigation on an unreasonable basis once evidence emerged to indicate that a challenge no longer had merit. In this instance, the Appeal Court appears to be highlighting the potential application of a different remedy, the enforcement of a no contest clause. The Appeal Court noted that if a challenge is a valid one, both a will and it’s no contest clause would be invalidated; but if a challenge lacked merit, both would still be valid and the beneficiary can expect to be disinherited as a result. Put another way, if a beneficiary seeks to challenge a will and undo it in order to obtain the benefit of a more favourable prior version, they should be aware that they could end up with nothing from the estate if they are unsuccessful and that will contains a no contest clause. That being said, both the holding in Anderson Estate and the dissent in Mawhinney illustrate the significant issues that still face the use, interpretation and enforcement of no contest clauses. Both the QB Court and the Appeal Court noted that the beneficiary seeking guidance had effectively been partially disinherited, since she was no longer a residual beneficiary, and perhaps a right to be satisfied that the testamentary instrument in question is truly the last will and testament of the deceased is a true substantive right that should be contemplated when considering no contest clauses. What does appear certain is that the law on no contest clauses is not yet settled, and a balance between allowing latitude in testator autonomy and discouraging valid litigation issues is still being struck.